Alicia Hanson was the Creative Director at Dillon Works when this fun underwater themed project came through. 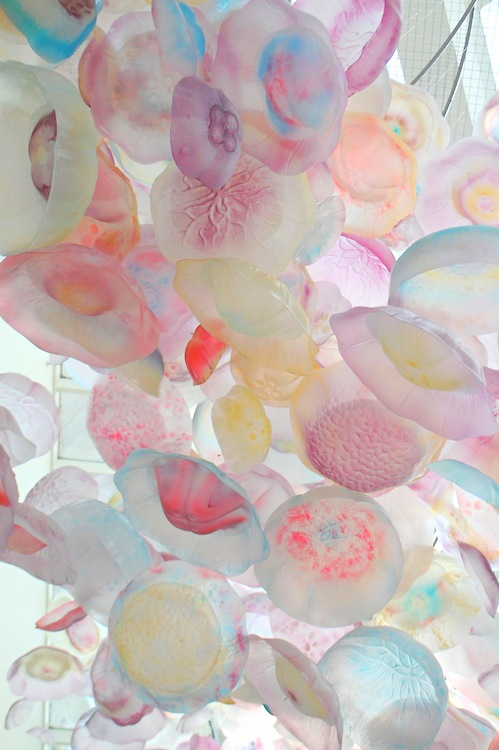 Since Jellyfish aren’t actually “Fish” the proper name for them is Jellies. 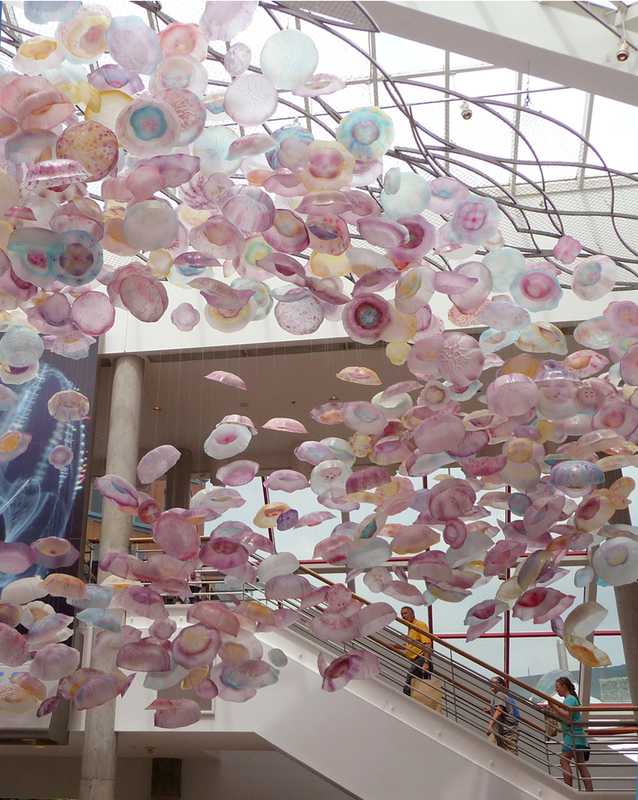 The “Jellies” Sculpture is at The National Aquarium in Baltimore, Maryland. It has a decorative steel armature resembling your view as you look up at the ocean from below the surface. 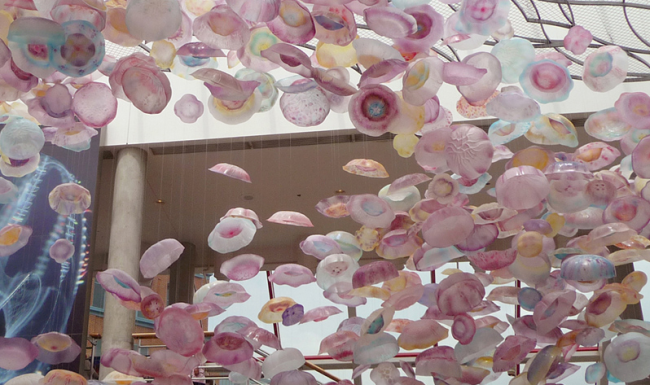 This armature suspends the jellies, via a permanent hoist system. 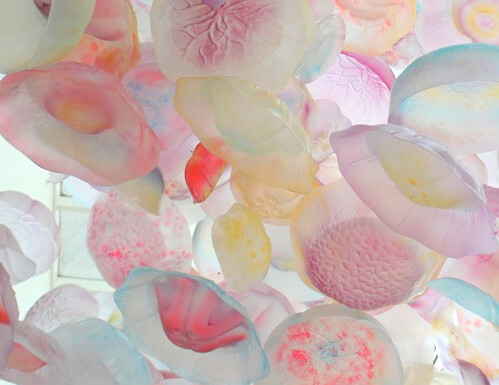 The six hundred jellies were fabricated from vacuum formed plastic and painted with an palette of translucent colors. They are hung on strands of monofilament and then attached to the armature.